The next Business Owners Forum topic is “A rough guide to valuing your business” on 20 May in Whangarei. On the agenda will be discussion around some of the basics of valuing your business – as well as the levers you can pull to potentially increase value. This will be an invaluable session for anyone interested in maximising the value of their business over time. Stuart Spicer. Stuart is a partner with Webb Ross Lawyers – and is regularly involved in both the due diligence process for clients investigating business purchases – and in managing the transaction for his clients. Stuart will discuss some of the legal issues which impact on a business’ value – and some of the techniques for planning ahead to ensure the value of your business isn’t unnecessarily compromised by these issues when it comes time to sell. Geoff Grigg. Geoff is a Commercial Business Partner with the BNZ – and he spends a lot of his time helping his clients to fund their business acquisitions. Although the banks will always say they have no opinion on the value of a business, their willingness to lend for the purchase of your particular business will have a large bearing on the value you extract when it comes to a sale. Geoff will discuss some of the issues that may affect the bank’s willingness or otherwise to lend – and which as a result may ultimately impact value. Fraser Hurrell. Fraser is a director of Elevate CA – and is an experienced business valuer having been involved in many valuations across a wide variety of industries and circumstances. Fraser will discuss some of the variables that will impact on the value of your business. Some will be outside your control – such as the particular indistry you operate in, but many can be incrementally improved over time to result in a significantly better outcome when the time comes to sell. As always for Business Owners Forum events, this session will be free of charge, free of “sales pitches” – and will be targeted to owners of businesses turning over $1 million or more per annum. And there will be pizza – and beer and wine to lubricate quality discussion. Invites for the May event will be circulated to the Business Owners Forum e-mail list on around 4 May. If you’d like to be included on that list, just contact Fraser Hurrell >>>. 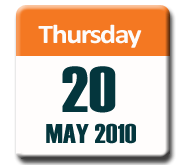 For a schedule of all the upcoming Business Owners Forum topics right through to February 2011, click here >>>.